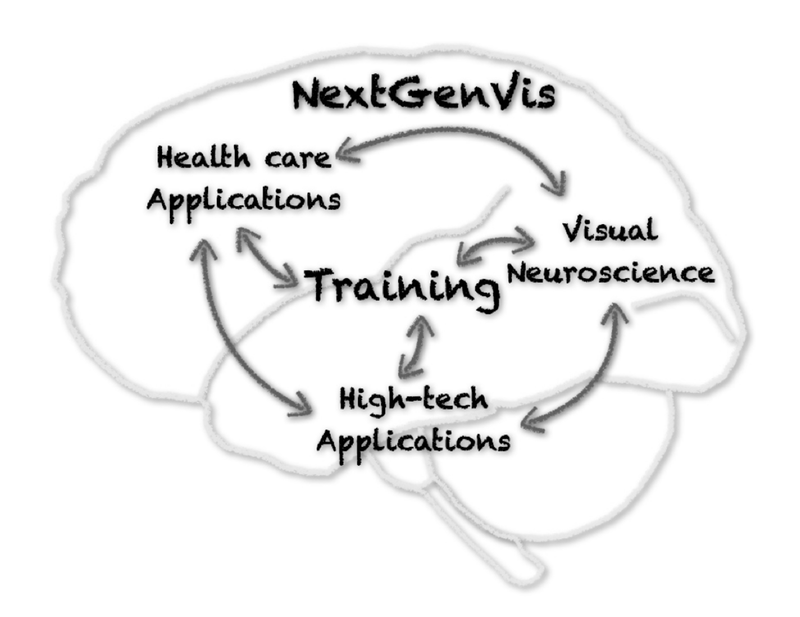 NextGenVis (“Training the Next Generation of European Visual Neuroscientists”) is a team consisting of European researchers from the health care sector, universities and private companies. In 2014 the team received a Marie Curie Grant for the training of 10 early stage researchers in the field of computational visual neuroscience, and research activities will start in 2015. The project spans over 15 labs and companies and brings together unique expertise and resources in brain imaging, psychology, neurology, ophthalmology, and computer science. [Meet the partners]. The human visual brain can learn and adapt to change, which solves many of the problems posed by an ever-changing visual environment. However, to maintain a consistent overall representation of the visual world, the brain also has to retain previously acquired neuronal mechanisms. The key is to strike a balance between plasticity and stability. The research carried out within the NextGenVis network focuses on this balance between cortical plasticity and stability in health and disease – with a strong focus on the neurocomputational basis of the visual system.